This wine is from the relatively modest appellation of Bordeaux Supérieur but punches considerably above its weight since it is made by the technical team behind the great Pomerol property, Chateau Clinet. This latter is a wine of great opulence and depth, made predominantly from the Merlot grape. 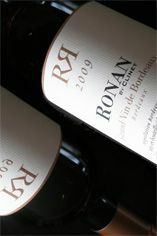 Ronan by Clinet , named after the Managing Director, Ronan Laborde, cannot claim the same level of stature as Clinet but is made with the same high degree of care and expertise, and from100% Merlot. 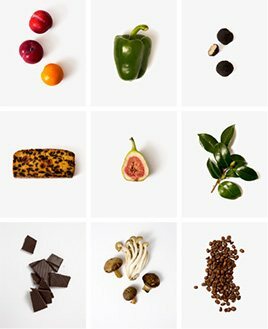 The oak is used judiciously to support but not overwhelm the fruit; 2009 was a great vintage in Bordeaux, possibly one of the greatest of the last 50 years, and one of its hallmarks was the way in which all levels of wine were excellent, from the humblest petit chateau to the most prestigious Grand Cru. A fantastic wine made by the acclaimed Château Clinet. Named after managing director Ronan Laborde and vinified by their renowned winemaking team, this is 100% Merlot. Sourced by grapes from the highly rated 2009 vintage, this is drinking young, being remarkably supple and delicious wine. At its price, it represents an absolute bargain for a top rate Bordeaux. The Wine Advocate - Clinet has been on a hot streak lately and the 2009 appears to be the greatest wine ever made at the estate, surpassing even the late Jean-Michel Arcaute’s monumental 1989. A blend of 85% Merlot and tiny amounts of Cabernet Franc (12%) and Cabernet Sauvignon (3%), this big Pomerol boasts an opaque, moonless night inky/blue/purple color in addition to a gorgeous perfume of blueberry pie, incense, truffles, black raspberries, licorice and wood smoke. Viscous and multi-dimensional with silky, sweet tannin, massive fruit concentration and full-bodied power, there are nearly 4,000 cases of this thick, juicy, perfect Clinet. It should drink well in 3-5 years and keep for 25-30. Château Clinet is a small Pomerol property that has leapt to prominence in the last 15 years and now produces one of the most sought-after wines in the region. The 9-hectare vineyard is on top of one of the finest plateaux in Pomerol and is planted with Merlot (80%), Cabernet Sauvignon (10%) and Cabernet Franc (10%). In the 1980s Jean-Michel Arcaute married Clinet's proprietor George Audy's daughter and by 1986 Jean Michel was running the property. He engaged the services of cult oenologist Michel Rolland, who introduced much later harvesting, ensuring super-ripe fruit, as well as extending the amount of time the wines spent in 100% new oak barriques. Within 5 years, Clinet's wine were being compared to those of Pétrus, Lafleur and Le Pin, and selling for similar prices. 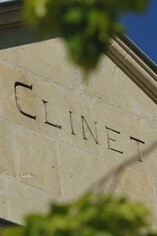 Clinet produces a wine which is concentrated and rich but is supremely well balanced with a finish that lasts and lasts. It is hard to resist when young, yet the wines from the best vintages will continue to improve for over 10 years. Jean-Michel Arcaute was tragically killed in a boating accident in 2001.